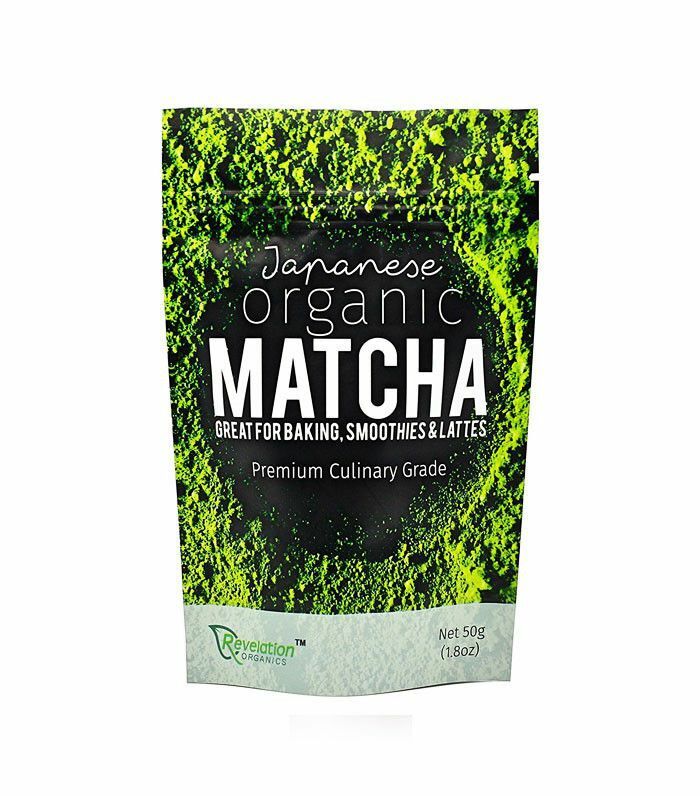 Matcha isn’t just the latest caffeine craze to populate the shelves of your local health food store or fuel your busy afternoon with an extra (much needed) kick. Matcha has a long history that’s steeped in ancient Chinese and Japanese tradition. In fact, matcha has been used for more than 4000 years. But besides its expansive ancient roots, it’s also an untapped beauty and health resource. As a nutritionist myself, I love incorporating the powder into different facets of my diet for all of its beneficial factors. From relaxation to improved focus, below are seven reasons you should incorporate matcha into your diet ASAP. Matcha is rich in L-theanine, a rare amino acid that actually promotes a state of relaxation and well-being within your brain’s functionality. While stress can induce beta waves (which lead to an excited and agitated state), L-theanine creates alpha waves (which lead to a state of relaxed alertness). And while L-theanine is common in all tea, matcha may contain up to five times more of this amino acid than your regular old black and green varieties. The L-theanine in matcha also improves your memory (read: helps you remember where you put your cell phone and car keys). It can help you learn and perform better without all the usual negative side effects of caffeine. In fact, studies show that those drinking green tea filled with L-theanine were also less susceptible to “distracting information” that might hinder their tasks (i.e., less susceptible to scrolling through Instagram during the workday). Okinawa, Japan, is what scientists and nutritionists call a Blue Zone, otherwise known as a geographic area of the world where people live longer. 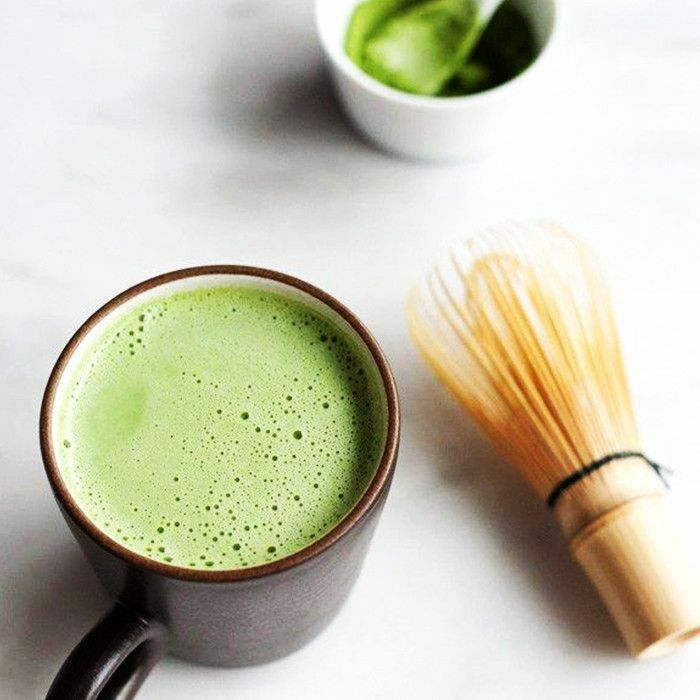 Because one of the most common beverages among Okinawans is matcha, Dan Buettner, author of The Blue Zones Solution (£16), attributed such long life spans to the daily consumption of the beverage and its cancer-fighting free radicals. Along with keeping you focused, relaxed, improving your immune system and increasing your blood flow, matcha helps relieve depression and anxiety. The polyphenols found in matcha can heal you from the inside out, and therefore can make you feel happier and less stressed. Polyphenols are powerful plant-based antioxidants and micronutrients found in a lot of foods that typically bring you joy (like wine and chocolate). As a nutritionist, I believe that matcha is only beneficial and that there is no harm in drinking it. You will get the most benefits out of drinking pure matcha. If that’s not your thing, you can make a latte with almond or coconut milk. But you have to be careful; you don’t want to be downing matcha lattes made with added sugar, so it’s best to either make it yourself so you know what's in it or always ask. Also, just because a food item says it has matcha in it does not mean it’s healthy, you need to look at other ingredients as well. One of my favourite things to do is make healthier versions of sweet treats like muffins, pancakes, ice cream, smoothies, cakes, cookies, and pudding with matcha—it gives a great flavour and added nutritional benefits. Next up, learn how to make a DIY matcha mask for glowing skin.